Pilots cannot just fly wherever they want. Apart from technical and practical matters like waypoints and the Earth’s natural jet streams, there are also man-made constraints such as political, legal and financial restrictions on airspace and flight paths. In 1944, the US held a convention on International Civil Aviation in Chicago with clear objectives to coordinate and regulate international air travel. One of the main targets of the convention was to lift airspace restrictions for commercial flights, but the countries involved failed to reach a consensus and the initiative bombed. Consequently, countries continue to set their own arbitrary rules on how to charge airlines for the use of their airspace. 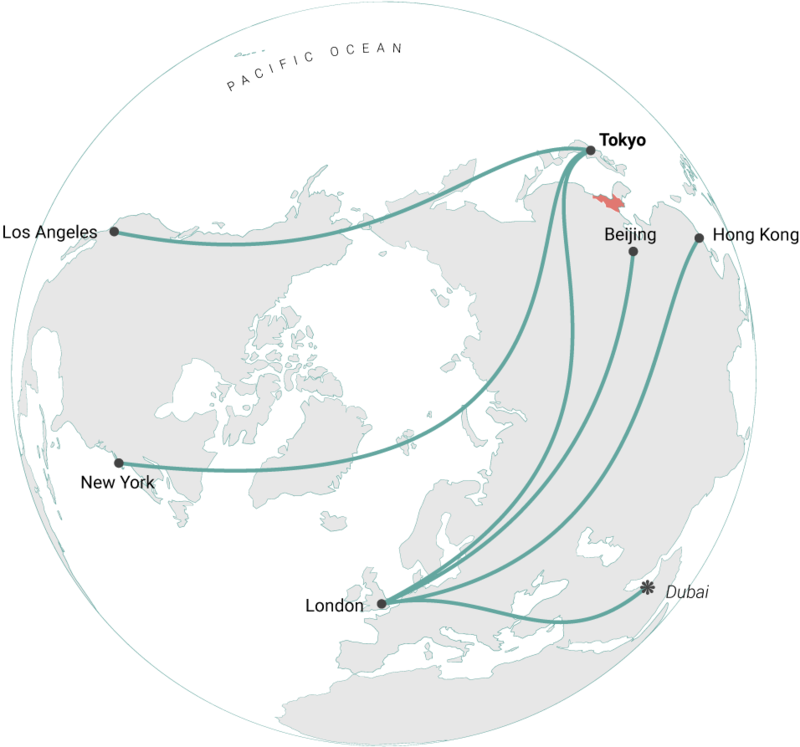 Before 1990, Soviet-aligned countries restricted access to their airspace, forcing airlines to use longer routes and alternative stops, like Anchorage in Alaska, to reach eastern Asia. 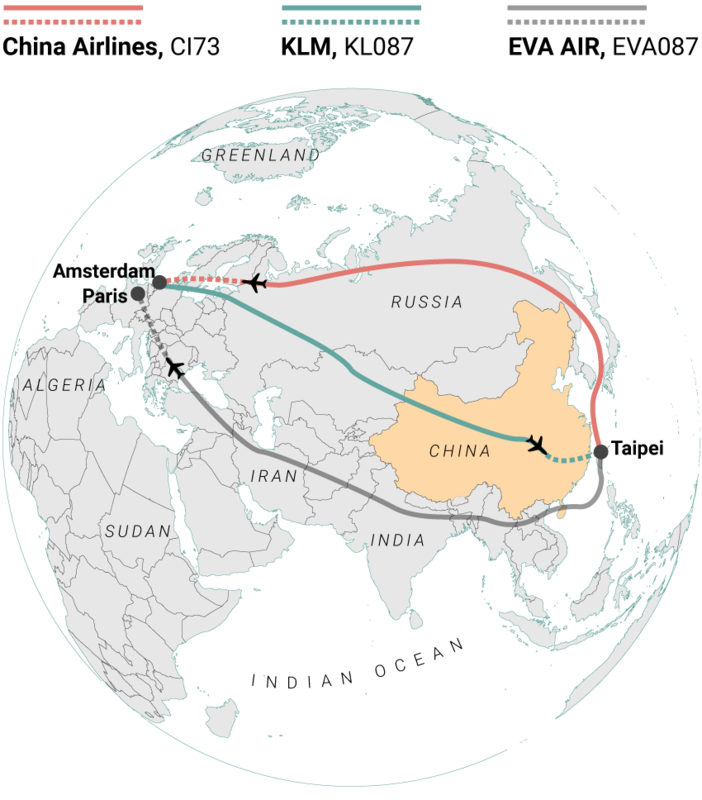 Progress was made in the 1990s when China and Russia opened up their airspace restrictions, allowing airlines to adopt more efficient routes. Cargo flights connecting the US east coast with eastern Asia, and Europe with Asia, were immediate beneficiaries. Today, airspace restrictions have become a political tool used as a bargaining chip to negotiate diplomatic issues. Many countries use airspace fees as a form of revenue and, sometimes, as a form of leverage during political negotiations. This causes prices and routes to fluctuate, with airlines subject to different policies. Costs are, of course, transferred to travellers, while airspace restrictions can significantly limit the options available to certain destinations. Costs of flights in Europe, for example, are set according to a combination of distance, a plane’s weight, and airspace fees. An Airbus A320 flying from Barcelona to Copenhagen would have been subject to airspace fees from six countries totalling €1,572. 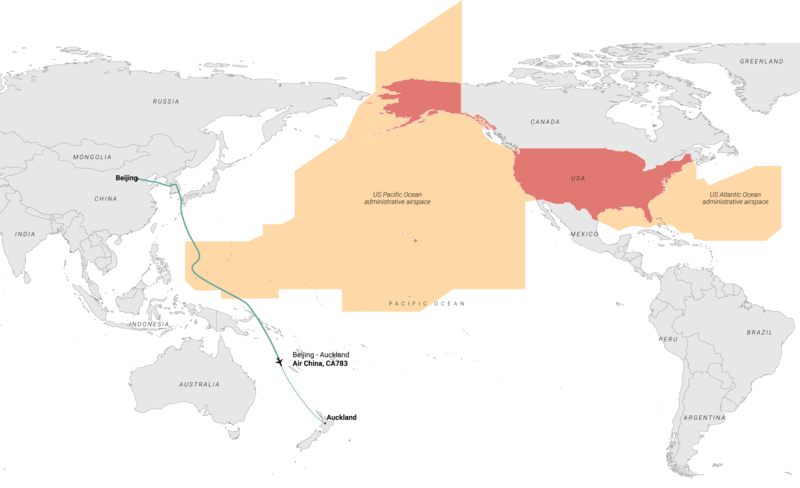 Countries with large territories and strategic locations can use their airspace to earn revenue, strong-arm negotiations, and act as a punitive measure against unfriendly administrations. Russia, for instance, grants flight permission to some airlines and not others in exclusive agreements that vary from country to country and airline to airline. Cargo flights with permission to use Russian airspace are charged a fee between US$63 and US$115, depending on the weight of the aircraft, while commercial flights are subject to charges per passenger as defined between the Russian Federation and the airlines. The thorniest issue for airlines is when they are not permitted to use a certain airspace. Rerouting can add several hours to flights as they skirt around banned airspace. 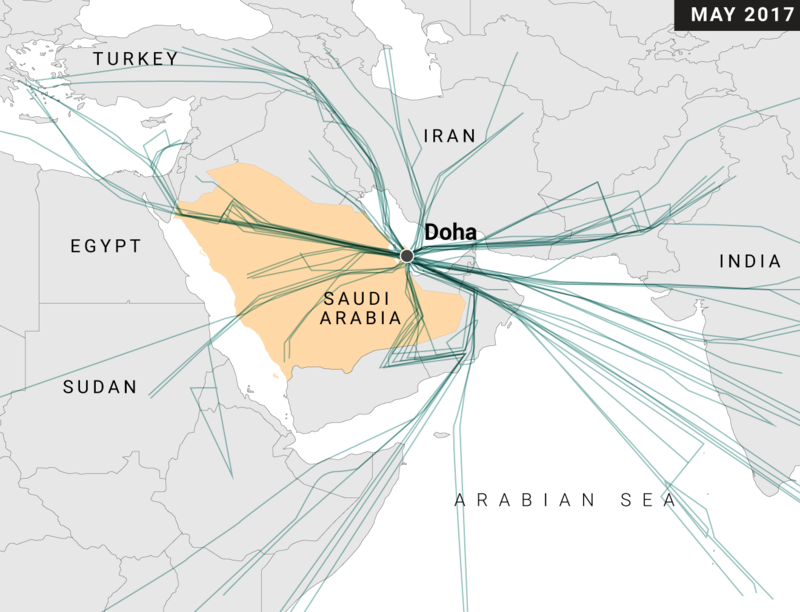 Recently, Qatar was banned from using most of the airspace around the UAE, Saudi Arabia, Egypt and Bahrain. 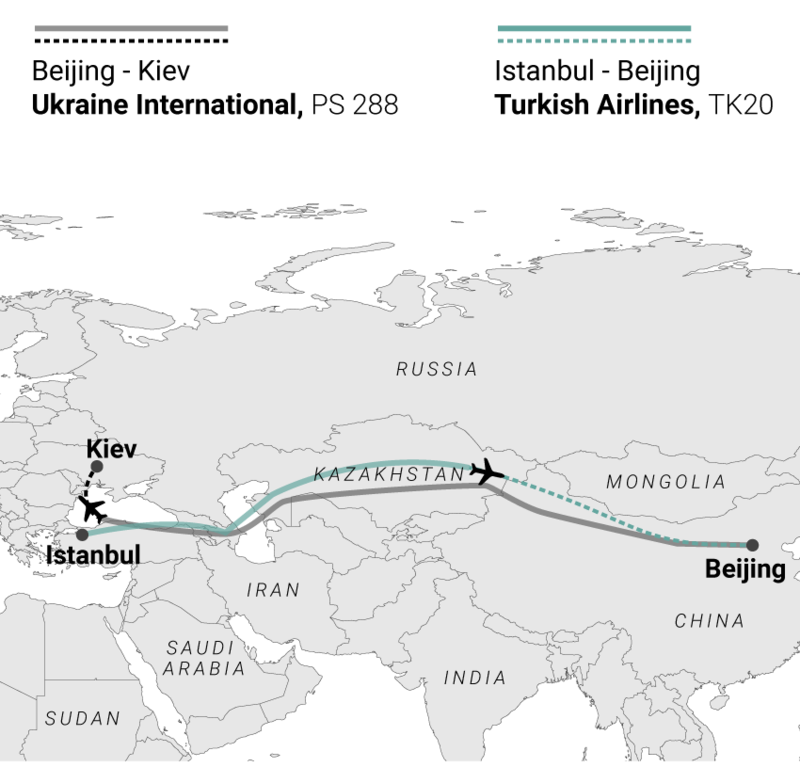 Historically, flights to Israel cannot fly over Arab countries and Taiwanese flights to Europe cannot travel over mainland China. 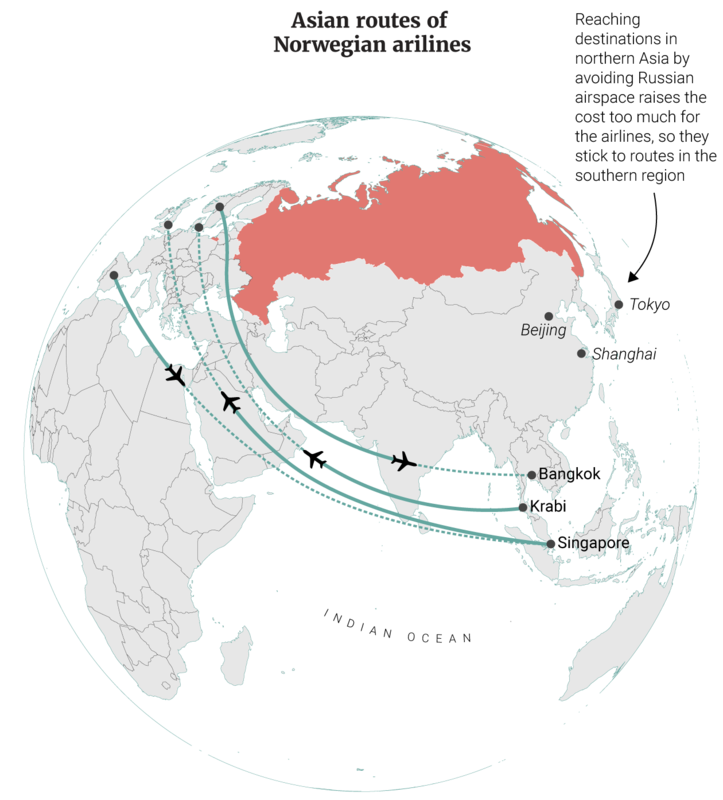 Russia usually restricts concessions to fly over its territory to one airline per country. There are some exceptions, such as British Airways and Virgin Atlantic, which are both registered in Britain. Other airlines, like Norwegian Air Shuttle – which is in dispute with Russia – hope to access new markets in Asia by registering aircraft outside their home country in an effort to gain permission to fly over Russia. Air traffic is an easy target when disputes arise between countries. Take the diplomatic crisis between Saudi Arabia and Qatar, for example. All airlines from neighbouring countries suspended flights to and from Qatar – with Bahrain, Egypt, Saudi Arabia, and the United Arab Emirates also banning overflights by aircraft registered in Qatar. 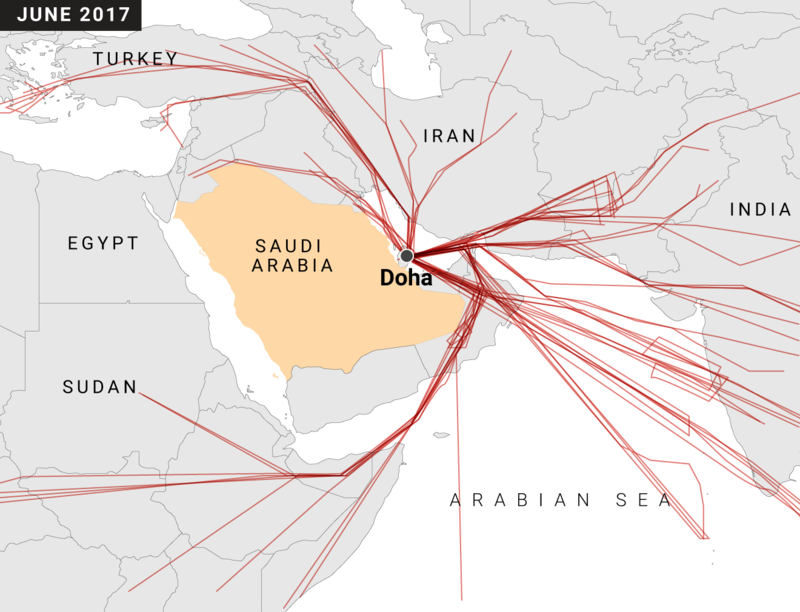 This forced Qatar to divert flights to Africa and Europe via Iran, paying exorbitant overflight fees and adding up to 5 hours to journeys. 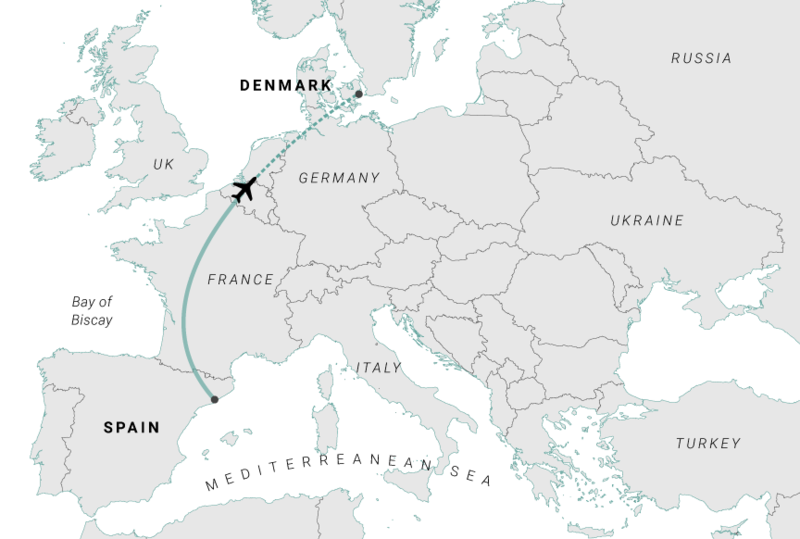 Other examples include Taipei-based airlines like China Airlines and EVA Air, which are denied access to airspace over mainland China, according to flightaware tracking their routes to Europe are 2-5 hours longer than flights of KLM airlines on the same day and destination. Meanwhile, China faces its own aviation complications. 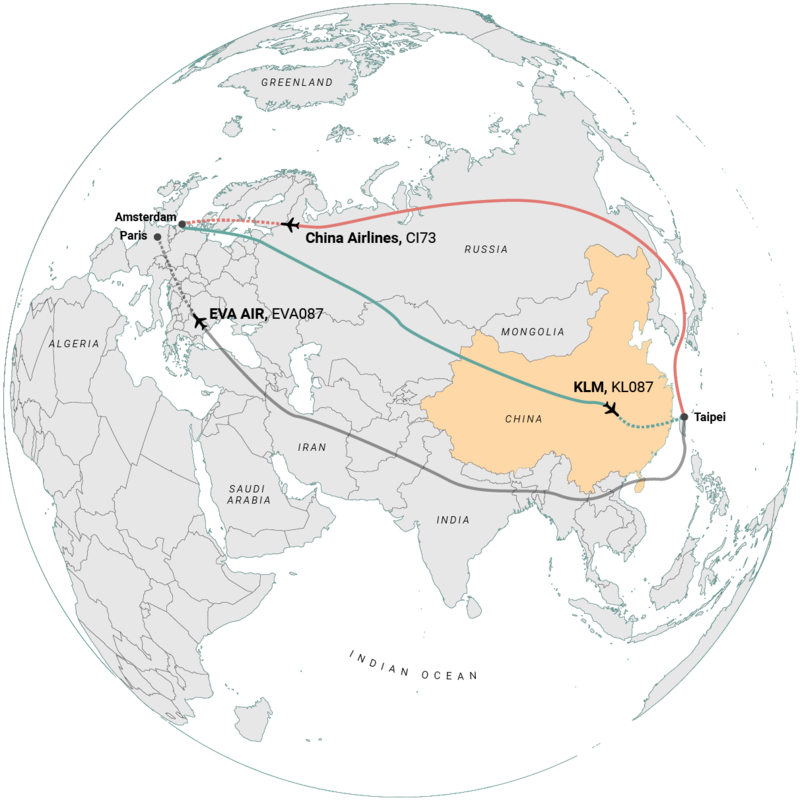 According to the International Air Transport Association forecast, China will replace the US as the biggest flight market by 2036 but it remains to be seen how its narrow flight paths will cope with the increased traffic. There are many factors contributing to severe flight delays in China, but one of the key reasons is the strict control the PLA maintains over the skies. 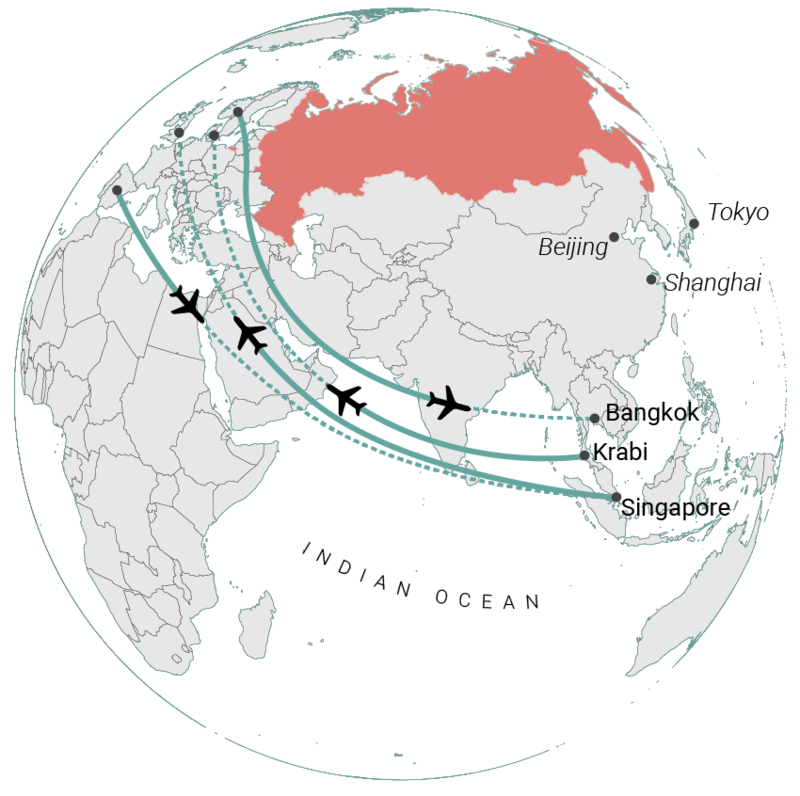 The military controls 80 per cent of China’s airspace and prioritises its own operations over civilian flights. The use of this vital airspace is changing slowly, but much more progress is needed to reduce the current situation of delayed flights.